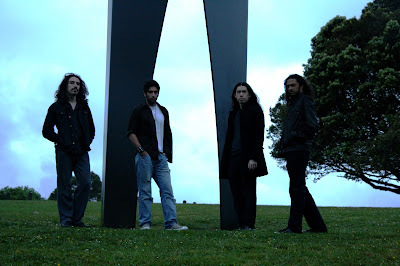 Shepherds Of Cassini are a post-metal/progressive-rock band from Auckland, New Zealand. 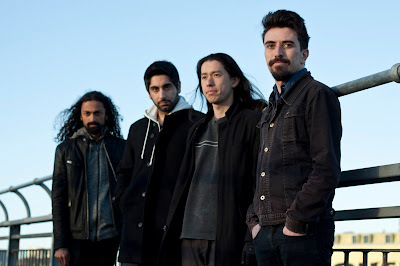 Formed in 2012, the group’s line-up consists of Omar Al-Hashimi on drums (from Pilgrim's Pyre), Vitesh Bava on bass (from Pilgrim's Pyre), Felix Lun on electric violin (from An Emerald City) and Brendan Zwaan on guitar and vocals (from Flood). The band combine progressive rock with post-metal influences, along with psychedelic sound experimentation. Their scope consists of lengthy songs involving dynamic compositions, middle-eastern influenced melody, percussive tribal breakdowns, hypnotic constructions of rhythmic ideas and complex arrangements. Themes explored range from metal influenced riffing, post rock influenced soundscapes through to exotic, surreal passages of gentle melody. We met Felix (F), Vitesh (V), Omar (O) and Brendan (B) to discuss about the new album 'Helios Forsaken' and many other things. 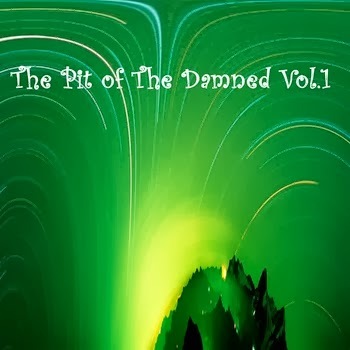 Thanks for taking part in this interview with The Pit of the Damned. Let's start with the meaning of the particular monicker Shepherds of Cassini, is there any religious or spatial reference in this name? F: Thanks for talking with us! Our name is indeed a reference to Saturn, and as you can probably tell space and spaciness is a significant influence on our sound. V: As Felix has says, thanks for this interview! Brendan can correct me if I’m wrong, but the ‘Cassini Division’ is the name of the largest gap in Saturn’s rings, named after a famous Italian astronomer who discovered it. ‘Shepherd moons’ are moons that orbit a planet in/around/through its ring system. You are from Auckland, what does it mean living so isolated from the rest of the world? Could this condition help you to have a more original approach to songwriting? F: I do envy those of you living in other parts of the world since it’s often much easier to visit other countries, experience different cultures and so forth. I’m not sure whether this geographic isolation has an effect on the local “sound” since nowadays it’s so easy for anyone to share their music and find out about bands on the internet. But, even though we’re a small country, the people in NZ make a huge variety of music. I described your sound as a mix of post metal, progressive rock and Middle Eastern influences; how would you describe your music and where do the Middle Eastern influences come from? It is quite unusual to listen to such music in a band coming from New Zealand, what do you think? V: I think the way you’ve described it is more or less spot on. I think the Middle Eastern influences come from each of our personal backgrounds and interest in music. Omar’s heritage has brought that kind of influence along with it, and I have also been interested in non-western scales and rhythms; I find them so haunting and mysterious that they evoke interesting emotions, both dark and uplifting. Is it unusual coming from New Zealand? Well, given that there are so many different cultures of people in New Zealand with different backgrounds, I don’t think it’s unusual at all. O: You and Vitesh are on point. I got exposed to many legendary artists like Oum Kalthoum and Fairuz thanks to my parents. Their compositions, structures, scales and progressions really differ from what we are use to in the Western music world. Bringing in this Eastern musical influence to the band allows us to expand on and experiment with our approach to writing our songs. My personal description of Shepherds Of Cassini would be Experimental post-progressive metal. Porcupine Tree, Tool and King Crimson could be your main influences? What is the musical background of the members of the band? Who is, among you, the most post metal oriented fan that could influence the songwriting? 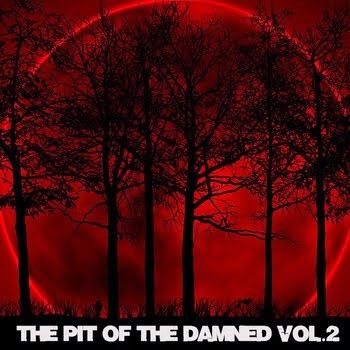 V: Those bands are big influences, yes :) I think we all share a common love for progressive rock / post metal / post rock / doom / sludge / stoner rock etc etc, however we each have our own separate tastes as well. I don’t think there is any one member who is more post metal oriented than the others; once all our influences and tastes are blended together, the final blend influences the song writing. O: Tool and Porcupine Tree are huge influences for me. I think that one of the reasons why we work so well together is because we have a common interest in all those genres that Vitesh mentioned. We all seem to use elements from different styles and somehow make it work when we write our songs. I wrote that, in some cases, the voice of Brendan could appear close to the voice of Serj Tankian of System of a Down. What was Brendan’s feedback towards my statement? B: I guess I'm flattered, he's got a pretty awesome voice but it's a lot deeper and more operatic than mine. One of the most peculiar features of your sound is the use of violin, where did the decision to use violin come from? I wrote in the debut album review that the use could be similar to Australian guys, Ne Obliviscaris, but used in a more massive way, what do you think? F: This is mostly because I don’t really know how to play any other instrument! I think my style is quite heavily influenced by guitar, and I really like being able to create a variety of tones and sounds using effects pedals. I’m listening to a track by Ne Obliviscaris right now and they sound fantastic, thanks for the recommendation. O: Vitesh introduced me to Felix. I learned that he plays the electric violin and that intrigued me. I had no idea what that sounded like. After we had our first jam, I was blown away from how amazing the violin sounded. I realised that this instrument coupled with Felix’s talents will bring a lot of interest in the ears of people. What was the feedback from the fans of the debut album? And magazines/websites? I was so enthusiastic towards your sound, I love it, also for the heterogeneousness of the sound, I wrote that it was sort of like "4 seasons in one day" when describing the unpredictability of your music, is this true? And this unpredictability is true also in the new album, 'Helios Forsaken'? V: mostly positive reviews for the debut album from both fans, magazines and websites, one of which was yours: thank you! Yes, each piece of music we write is quite adventurous and goes many places, it really is an unpredictable journey with twists and turns, and most definitely this idea has been carried through to 'Helios Forsaken'. O: Positive and exceeded my expectations in all honesty. I loved your reviews, thank you for taking your time to review both our albums. How was 'Helios Forsaken' was born? Through trying to minimize the mistakes (if there are any) in the debut? What about the lyrics of the new album? Am I wrong if I say that in this new album Brendan sings much more than in the debut? V: We just wanted to carry on writing more music after our debut I guess. Indeed we were conscious of what we had already done on the debut and aimed to improve and expand upon our sound. I don’t think there was really a clear plan towards what Helios was supposed to be; we just went with the flow and allowed the songs to write themselves based on our gut feelings. Tracks spawned and grew out of other tracks that were severed and dissected into different parts. Riffs, rhythms and melodies started small and grew into entire pieces of music that were re-arranged, revised and changed through repeated writing sessions. There was an element of chaos at the beginning that distilled down to what eventually ended up on the album. Regarding the lyrics and vocals, yes there are more vocals in this new album. Our writing almost always starts with the music first and the vocals kind of fall into place wherever they feel needed. O: We definitely wanted to continue making more music and hopefully we keep going at it for a long time. Like Vitesh have said, we had no clear plans on how to approach the second album but we definitely had a stricter compositional approach, we certainly wanted to go a level above our self-titled so this would require a few tweaks here and there. However, our debut did serve as a template for the writing process of our second album and that helped us, or at least for me, to expand and evolve our sound. Just out of my personal curiosity: did the Maori culture have any kind of influence in your music? V: For me personally, not in a directly conscious way, no. How are you promoting the new album? Are you performing any live shows in New Zealand? Is it feasible for you to have shows elsewhere such as in Australia for example? I think that it could be difficult seeing you on a stage in Europe, don't you? Unless you promote a crowfunding campaign as done by Ne Obliviscaris, what do you think about this kind of promotion? F: We have been playing fairly regularly here in NZ and are planning a couple more shows towards the end of the year. I think we are slowly but steadily gaining a few more fans with each gig, it’s always really great when someone tells you they’ve just discovered your music. We would absolutely love to play in Europe but since it’s far away it’s expensive to get over there. We ran a crowdfunding campaign to raise funds for the album (thanks to everyone who helped out! ), so doing a similar promotion would definitely be on the cards if/when we try to get to Europe in the future. And now, finally, there is a simple and recurrent question for The Pit of the Damned readers, the “Desert Island List”: three books, three records and three movies you can’t live without. F: “My Family and Other Animals” by Gerald Durrell, and The Princess Bride.